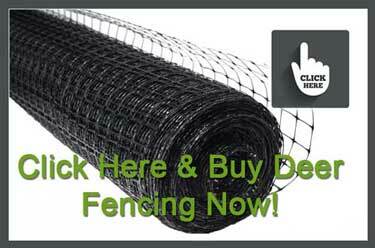 Benner's Deer Fence Products are now Available at Wholesale/Commercial Pricing! Benner's Gardens is the ultimate source for all of your wildlife deterrent needs. We are the nation's leader in deer fencing, repellants, dog enclosures, bird netting enclosures for protecting fruit bushes & trees, as well as rodent barriers for rabbits, groundhogs, squirrels etc. We also offer effective preventative systems against the coyote. If you would like to carry our products, or offer installation of our fencing to your clients please contact us to set up an account for exclusive pricing! We have all the Benner's Gardens and Best Friend Fence products that you know and love at competitive wholesale rates. This is a tremendous opportunity to launch our deer fence product line in your business and extend your services to your own clients. Call today for information on opening a wholesale/commercial account and to find out more about how you can get involved in this endeavor. We look forward to hearing from you! The deer fencing that we use at Benner's Gardens is built with a wire like material which is very high strength and constructed using UV stable black polypropylene that is guaranteed to last for a very long time. Black was the obvious choice for us to use with our wholesale deer fence because it is the most difficult color to see outside or around your home or property. This means that our fencing material will not take away from the beauty of your property, and the fence is even difficult to see from distances as close as 15 to 20 feet away. The fencing virtually blends with your landscape. Other fencing companies tend to use wood, wire, and even electric fencing to keep deer off a property, but there are many typical issues when using these products to protect your home. Our deer fencing is a humane and safe way to protect a property from deer without hurting them such as electric fences can do. The fencing material will not take away from the appearance of a home or property. It is very easy to install and maintain this style fencing. Deer will not be able to jump over the barrier since it is 7.5 feet tall. We use durable and cost effective materials that save you money. When you receive the poly fencing, you will notice that the material is actually seven and a half feet tall. Once the fencing material is fully installed, the fence will be only seven feet tall, since half a foot is installed against the ground to safely and securely hold it in place. The underground portion of the fence will be used to keep deer and other animals from being able to maneuver under the fence and enter your property. Other popular wholesale deer fencing companies do not attach the fence to the ground and that is why deer and other animals are still able to enter the property with their wholesale deer fence product. The reason that our deer fence is seven feet tall is due to the fact that deer are not able to jump over that height which will keep your property free from deer. Few companies are able to match the benefits that we offer at Benner's Gardens with our professional deer fence products. Other perimeter wildlife fencing styles are built using electric fences, and not only are these fences not attractive, they can also cause other major problems. A wood fence will eventually splinter and become weaker over time and it does not prevent other animals and rodents from entering your property. Electric fences are not humane and will cause pain to any animal that comes in contact with the fence and many other potential issues. The main purpose of our wildlife product is to safely keep deer from entering your property in a safe and secure way which we have achieved. Customers used to have to settle for these other deer protection solutions and at Benner's Gardens we decided that home owners should be able to protect their property in a safe way that would not take away from the beauty of their home. In the spring of 1996, we were able to offer our second generation of wholesale fence that was simply known as "Heavy Perimeter Fencing" which eventually lead to the innovative design we use today. The major difference between our previous version and our new fencing was the strength of the material. We knew that the fencing had to be much stronger to keep virtually all animals and rodents from entering the perimeter and that is why the fence was built with material 65% strong than before. We recommend using white warning flags when installing a new fence that should be installed every 10-15' along the fence line. The reason for this is that deer learn to run in a particular path and since the fencing material is difficult to see, it will deter the deer from running into the fence. Once the deer have changed their path, you can safely remove the streamers without having to worry about any accidents. Although our fence is easily strong enough to handle a deer accidentally running into it, we would prefer not to have that happen for the safety of the animals. We have specifically designed our fencing products to be as easy to install and maintain as possible and to last for a very long time. We suggest using our deer fencing in conjunction with trees as a support system, which will keep the fence as strong as possible. But, for those areas without trees, we also offer support posts in the accessories section of our website. In order to keep deer from being able to penetrate under the fence, please make sure to attach it to the ground every five to six feet. If you have any questions about our deer fence or any of the products we offer, please make sure to contact us so you can speak with one of our friendly staff members. Many deer are annoying people because their hooves destroy agriculture, landscaping, and gardens at residential locations. However, the experts at Benner’s Gardens have a solution to this problem. The development team designed state-of-the-art fencing that protects properties during deer season. Our innovative fencing features a mesh net, which keeps deer off of a property without harming them. Other repellent solutions are made with harsh chemicals. However, our fencing system does not affect the environment. The team at Benner’s Garden understands that most homeowners need solutions that don’t decrease curb appeal. This is why our deer control fencing system is practically invisible. Because the mesh is lightweight, it is not distracting. The deer population is constantly growing, so homeowners must use a cost-efficient solution that is reliable and durable. Our fencing is competitively priced and is a great solution for all residential locations. Although there are other fencing options at hardware stores, they are not dependable. Since deer are persistent, they will try to squeeze under or through a traditional fence. Our system, however, has ground stakes, so deer cannot bypass the fencing after it is installed. Also, because our fence is five feet tall, deer cannot jump over the material. We offer our product in various sizes, so you can easily find a proper solution for the configuration of your property. When consumers buy our system, they never run into problems during the installation process. Our kits includes everything you will need to ensure a fast, hassle-free installation. Our PAWS 1 FOR ALL™ Animal Repellent is the safe, eco-friendly way to prevent deer and rodents from eating all of your expensive produce and landscape! Tested for effectiveness for over ten years, it is the perfect solution for those tricky spots on your property that cannot be fenced in! Call today for pricing or to carry it in your store! Don't forget our Turf Protection Products! Available in grades that will handle 2 tons to 22 tons per axle load, our turf protection products are the superior choice for erosion control, jobsite protection and even green parking lots! If you would like to learn more about our wholesale deer fencing products, fill out the form below and someone will contact you. Be sure to mention "WHOLESALE DEER FENCE" in the comments section. When you choose to secure your property with Benner’s Gardens deer fencing, you can be certain that you are purchasing a reliable product. Unlike other types of fencing, our polypropylene mesh fencing holds up to harsh weather, aging, and pests and helps to deter all types of deer pressure that you may have. Unlike electric fencing, polypropylene mesh does not rely on electricity but rather the strength and durability of the mesh itself. The main problem with electric fencing is that it can be quite fickle and that any number of factors can affect its performance. For example, a heavy snowfall or even frozen ground can render an electric fence ineffective. With snow and frozen soil acting as an insulator, the circuit in the fence is broken, and the deer and other garden pests never receive a shock from the fence. Instead, they simply go through the fence or over it and into your now vulnerable garden. However, it is not just soil and freezing temperatures that can render an electric fence useless. In actuality, tall grass, high weeds, rust, and splices in the wire of the fence can all have the same effect. A fence that cannot be relied upon is not a fence that you want to protect your property. When you choose Benner’s Gardens polypropylene mesh deer net fencing, you will never have to worry about any of these problems. You can rest assured that snow, freezing temperatures, weeds, and grass will never compromise the effectiveness of your fence. Because our fences are not made of metal, they will never be subject to rust. Wooden fences have their problems as well. They do not offer an unobstructed view of your lovely garden. In fact, it is quite likely that you will not be able to see your garden at all with a wooden fence surrounding it. Keep in mind that a wooden fence will need to be at least 7 ½ feet tall with no gaps for the deer and other pests through which to squirm. This problem is efficiently eliminated when you secure your garden with our deer netting. Although wooden fences do not rust, they do age; over time, the wood will crack, splinter, and begin to decay. This is especially true for the wooden fence posts, which will absorb moisture from the surrounding soil. If you live in an area with heavy rainfall or an abundance of snow, excess moisture can cause serious problems to occur. When exposed to an abundance of moisture, wooden fence posts lose 3 years off of their lifespan. That is 3 years, regardless of how much maintenance you may perform. Once the posts begin to deteriorate, the strength and security of your entire fence are compromised. Benner’s Gardens polypropylene mesh fencing is not susceptible to rot or decay, and is UV stabilized to prevent moisture breakdown and to protect against exposure from all types of weather. You can rest assured that our fencing will be reliable all year round. Our fencing is so reliable, in fact, that it is used to protect beloved community gardens, orchards, vineyards, and golf courses. One of the most important things to consider when choosing a fencing material for your home is how much maintenance the fence will require over its lifetime. Keep in mind that the maintenance a fence requires does not just include how many hours of work you will need to put in or pay someone to perform, but also how much money you will spend on costly products to keep your fence in good working order. At Benner’s Gardens, we know your time and money are both precious to you, which is why our polypropylene deer fencing is virtually maintenance free. Our fencing does not decay or rot like wood. Because it has been UV stabilized to protect against exposure, it will never need to be sanded, painted, stained, treated, or sealed, which saves you from unnecessary and tiresome work. Compare this to a wooden fence, which must be sanded, repaired and then painted or stained every 2-4 years. All of this, just to maximize the life expectancy of the wood. The savings quickly begin to add up. Because polypropylene is not an organic material, insects do not adversely affect it. You will never find bees, carpenter ants, or other harmful pests making themselves at home in our deer fencing; these insects will never compromise the durability of our fencing. Because we believe in providing you with the best quality fencing products for your budget, we carry several varieties of deer fencing from economy to extra strength to tackle even your toughest deer problems. Our extra strength fencing boasts an incredible 20-year lifespan. This is just one reason that communities use our fencing to prevent deer from entering busy highways. With virtually no maintenance required and a long lifespan, just think of all the time and money you will save when you opt for this durable fencing to guard your property. When you purchase a fence to keep deer and other nuisance animals, such as rabbits, out of your garden, the last thing you want to do is to invite a variety of other pests into your home. Unfortunately, that is exactly what can happen if you erect a wooden fence. Wooden fences are hospitable to many annoying pests such as carpenter ants and bees, wood-boring beetles, and yes, even termites. These insects love wood, both for consumption and for nesting. As your wooden fence ages, suffers damage, or gets waterlogged, it becomes a magnet for these pests. Other pests, however, will not wait for your fence to age before invading. Even new, undamaged wooden fences are quite appetizing to wood-boring beetles. Powderpost, old house borer, and Deathwatch beetles will consume both new and old wood. It would be better for you if these insects were pickier eaters, because once on your property, these nuisance insects will not stay confined to your fence. As reality would have it, it is quite likely that at some point, they will find their way into your beloved home. Far from being a simple nuisance, some of these insects can do real and costly damage to the wooden structure of your home. It is important to note that wood-boring beetles are second only to termites as the most destructive wood pests. With termites causing nearly $5 billion dollars in damage to homes every single year, you are definitely putting yourself and your home at risk with wooden fences in the area. Because our deer fencing is made from polypropylene mesh, it is not appealing to wood-consuming or wood-boring insects. With a Benner’s Gardens fence in your yard or surrounding your garden, you will never run the high risk of jeopardizing the safety of your home to secure your property against pests like deer and rabbits. As a nature lover, it is only natural that you want to preserve the precious garden and property you have lovingly maintained while keeping deer and pests away. Despite this, you also do not want physical harm to come to the creatures who want to sample your garden buffet. These animals are just following their natural instincts, after all. When you install Benner’s Gardens mesh fencing, you can accomplish both of these goals at once. Our durable fencing is tall enough to prevent deer from jumping over it, without needing to use harmful and inhumane electric shock methods, and because our fencing is staked securely to the ground, deer cannot push themselves underneath of it. The real deterrent is the fact that your property becomes inaccessible, forcing the deer to decide to find an easier meal elsewhere. Since our deer netting is made from polypropylene instead of metal or wire, it will not rust, nor will it eventually wear down into jagged, sharp edges. This is especially important for animals like deer, which can be seriously injured as they investigate the fencing. Rusty metal fences with sharp edges can also cause serious injuries to children and pets. Our mesh fencing is safe for children and pets, which can be harmed or even killed by poorly maintained or damaged electric fences. Although the primary function of an electric fence is to deter pest-like animals through electric shock, malfunctions of the fence itself are not unheard of and can be fatal. Pets, children, and wildlife can also become entangled in the electric fence, with deadly consequences as a result. It is also important to note that electric fences can cause fires when struck by lightning or due to a malfunction. These dangers are easily avoidable. You can keep pets and children safe from bodily harm and possible fires by installing a mesh deer fence. You will have peace of mind knowing that everything and everyone on your property is safe. Simultaneously, you will prevent animals from entering your property and destroying it while still protecting your local wildlife. You have spent a tremendous amount of time and effort to create your beautiful garden and keep your lawn well landscaped. Therefore, it is only natural that you would want to be able to enjoy its beauty. You want your neighbors to be able to enjoy it as well. However, you also need to keep destructive critters such as deer and rabbits away from your little oasis of beauty, because your lovely landscaping makes for a delicious meal. Deer and rodents, such as groundhogs, love to eat plants such as corn, kale, soybeans, and peas. However, they are not picky. They absolutely love vegetables of any kind and will wreak havoc upon your garden to get to them. A wide variety of fruits is also on the menu for hungry deer roaming around in your area. They can destroy strawberry plants, blackberry bushes, blueberry plants, and grapevines. Their hunger knows no bounds and they will effectively destroy your fruit harvest in very little time. Your flower garden is not safe either. Deer also love to munch on a variety of flowers including petunias, sunflowers, tulips, lilies, and pansies. They can destroy entire flowerbeds with very little effort. If you have any nut trees in your yard that produce acorns or chestnuts, these are especially tasty to deer. Even your trees and shrubs themselves are not safe from the inherent and insatiable appetite of your local deer population. They will strip the leaves from maple, ash, alder, willow, and hazel trees. Even sumac and poison ivy, which are poisonous to humans, can make quick and tasty meals for the deer in your area. Therefore, guarding against rodents such as groundhogs and raccoons is necessary and essential if you wish to keep your lovely garden, trees, flowers, and meticulously kept landscaping intact. To accomplish all of these goals, you will need to purchase fencing that is durable and reliable enough to prevent the local wildlife from destroying all that you have created while not obstructing anyone’s view. Benner’s Gardens polypropylene mesh deer fencing is the perfect solution. Made from incredibly strong, yet lightweight and thin material, our fencing is almost completely invisible to the naked eye. Amazingly, it cannot even be seen from the short distance of 20 feet. Our mesh fencing is therefore the perfect balance between security and invisibility, allowing you and your neighbors to admire the beauty of your property whenever you wish. Benner's Gardens, the original deer fencing company, has been selling deer fence systems for over 20 years. Our deer fencing is manufactured from the highest quality materials and provides you with maximum flexibility, strength and durability. The UV-treated, black polypropylene mesh (1.75" x 1.75" openings) attaches easily to trees or to Benner's Posts for superior protection from destructive deer. We provide a humane fencing solution which depends mostly on the design of the fence, and doesn't require features that can be harmful to animals, like electric shock fences. Our fencing system can be a pernament soulution for year round protection, or a temporary fence that can be easily removed and installed for seasonal protection. We are concerned about the safety of animals as much as we are concerned about the safety of your landscaping. That's why we came up with a deer proof fencing alternative that is not only safe for deer, but is also very effective. It's the best of both worlds- safety and security for whatever your needs may be. Our high quality deer fencing is constructed from a very durable polypropylene plastic composite bi-polar extrusion that is strengthened with UV protection to protect the longevity of the fencing. This composite will eliminate maintenance processes like replacing damaged planks like in wood fencing, or having to be worried about rust that can be harmful to your pets like with metal fences. With Benner's Deer Fence, you simply install it around the area you would like to protect, and let the fence do the rest!